OAKVILLE, Ont. 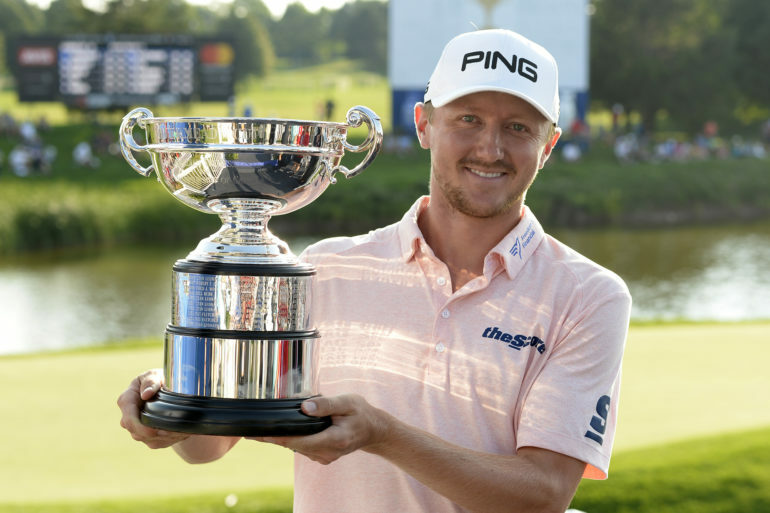 – Mackenzie Hughes buried his face in his hands after his 14-foot putt on the 18th hole slowed to a stop short of the hole by a few inches. 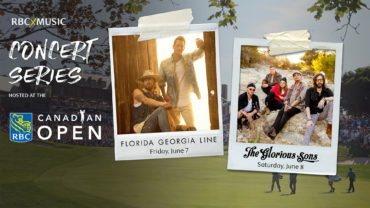 The 27-year-old from Dundas, Ont., finished in a season-high tie for eighth place at the RBC Canadian Open on Sunday, and captured the Rivermead Cup as the top Canadian for the second consecutive year. But that last oh-so-narrow miss on 18 at Glen Abbey was a fitting ending to a week he’d “sniffed” golf greatness, but fallen just short. “Talking to me right now, I’d say I’m a bit disappointed, just because right at the end there, those par 5s coming in (16 and 18) were both playing downwind, and if you’re out here playing with your buddies, probably birdie them both, but a little tougher in this pressure,” Hughes said. World No. 1 Johnson won the Canadian Open’s final appearance at Glen Abbey, shooting a 66 to go 23 under for the tournament. Hughes, with wife Jenna and nine-month-old son Kenton watching on, began the day in a tie for 13th, and climbed up to fifth before a bogey on 15. He recovered with a birdie on 16, prompting a roar from the crowd when his 21-foot putt rolled in. The Rivermead Cup was the original Canadian Open trophy, awarded to the tournament winner from 1920 to 1935, until Seagram’s took over sponsorship and wanted its own cup. Hughes’ strong week is great timing with only two events left on the season to secure a PGA Tour card. Needing to finish in the top 125 in the FedExCup standings, he began the week at 174, but was projected to climb 22 spots to No. 152. 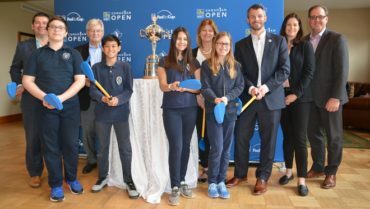 But the Canadian, who grew up about half an hour’s drive down the Queen Elizabeth Way from Glen Abbey, said, with the tour card looming, he felt the pressure on every hole. “A birdie on 18, and every shot coming in really meant a lot because once you get up to that top five, top three kind of echelon, the points really ramp up,” Hughes said. 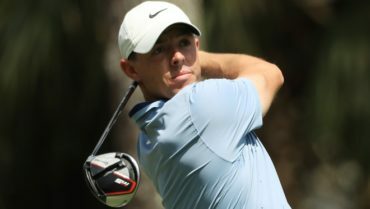 “I kind of sensed that opportunity coming in and maybe got a little bit tight at the end, I don’t leave that putt (on 18) short ordinarily, so that’s just maybe getting a bit tight. Calgary’s Ryan Yip (70) finished at 12 under and tied for 22nd. Roger Sloan (68) of Merritt, B.C., finished at 10 under, one shot ahead of Chris Crisologo (69) of Richmond, B.C., Canada’s only amateur to make the cut. David Hearn (72) of Brantford, Ont., finished at 7 under and in a tie for 61st. It was a rough day for Nick Taylor of Abbotsford, B.C., and Ben Silverman of Thornhill, Ont., who both finished a 4 under and tied for 71st place. Taylor (77) went into the week ranked No. 127 in the FedExCup standings, and needing to improve two spots by season’s end to maintain his PGA Tour card. But he plummeted 42 spots down the leaderboard Sunday, and finished with a double bogey on No. 18, eliciting a groan from the crowd when he hit the ball into the water.